"In each of these a page of pertinent text is followed by a full page illustration to accompany the message...Gellert uses his drawings to capture the current political relevance of the text printed on its opposite page. These drawings encompass war, racism, militarism, exploitation, strikes and demonstrations." This is perhaps best demonstrated by looking at Aesop Said So, presented here with full text and images. Select image of title page [left] to start. You will find Gellert's CONTEMPORARY TITLE and (original fable title) provided for each image, which will be found just below the text for the updated fable. Selecting either the image itself or will take you to the next page, or chosing will take you to the previous page. The final page of the book returns you to the first page in the book. To return to this index page at any time, select Gellert's name, found at the top of each page. Gellert also illustrated Karl Marx' 'Capital' in Lithographs. Selecting the title page [left] with its portrait of Marx will open the book. Links at the top of each page take you to the text associated with that particular image. Selecting the image itself or will take you to the next page. The final page of the book returns you to the first page. To return to this index page at any time, select Gellert's name, found at the top of each page in the book. This 1934 edition of selections from what became known as Volume I of Das Kapital, Marx's 1867 social and economic history on the origins of capitalism, illustrated with Gellert's lithographs, is presented in full, 60 pages, both text and images. A table of contents and index have been constructed, with links to individual pages in the book. All italicized text is italicized in the original; some punctuation has been made to conform to modern usage and line breaks have been inserted for ease in reading. 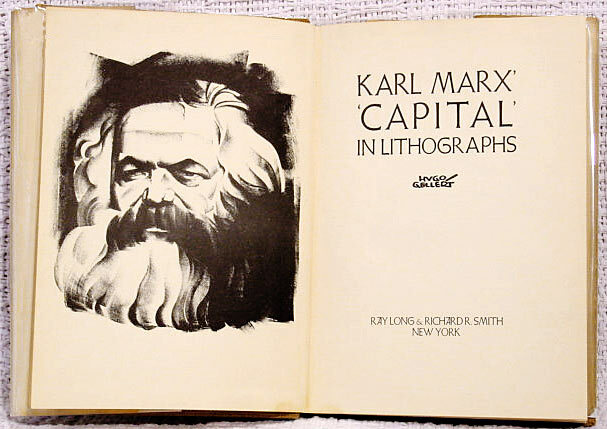 An end note explains "KARL MARX' 'CAPITAL' IN PICTURES [sic] was compiled (from Eden and Cedar Paul's and Ernest Untermann's translations of the original text) by Hugo Gellert and interpreted by him in sixty lithographs." From Gellert's forward: "In this book only the most essential parts of the original text are given. But with the aid of the drawings the necessary material for the understanding of the fundamentals of Marxism is included." 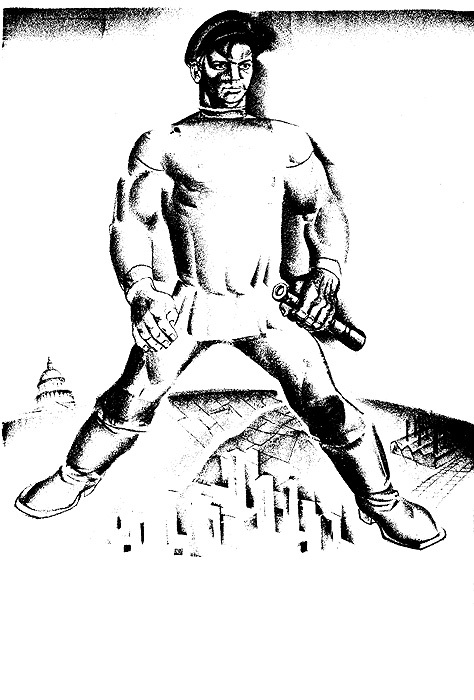 The contemporary reader of Gellert's 1935 publication, Comrade Gulliver, will find a detailed snapshot of economic and social conditions in the United States during the Great Depression, Gellert's astute observations as to the workings and failings of capitalism, and what later history would suggest was an overly optimistic view of communism under Stalin. The ideals of justice and equality that motivated Gellert's work are abundantly clear in this book, as in his other books and art. 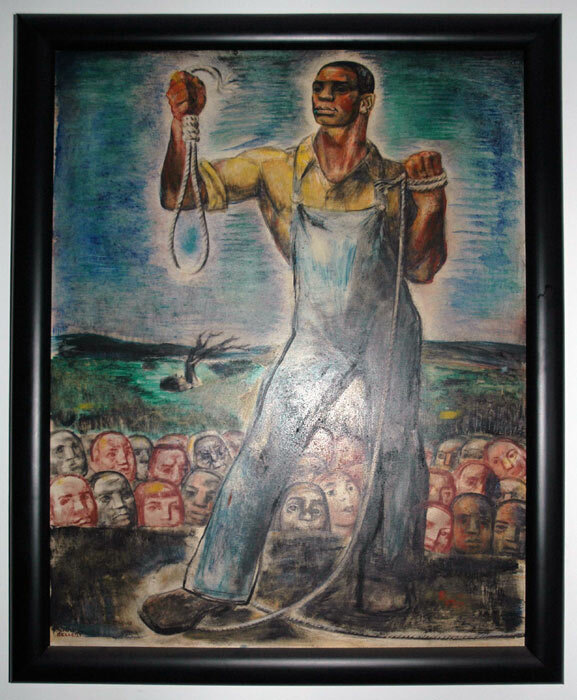 This undated painting in a private collection was a gift from Hugo Gellert to a friend. Written on the back is the phrase " Freedom from Fear", a phrase Franklin Roosevelt used in his "Four Freedoms" speech in 1941. 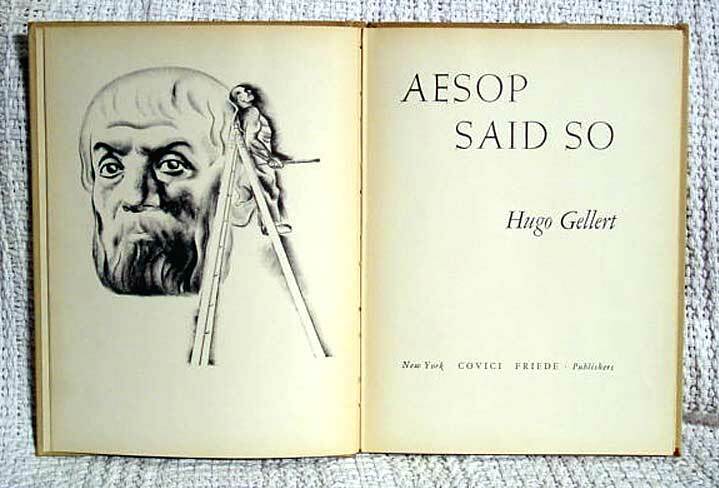 Sara Monoson, professor of political science and classics at Northwestern University discusses Gellert's art and philosophy in the video titled Aesop Said So, from the 'Watch and Listen' section of an archive project from King's College, London, titled "Classics and Class". Monoson's work forms part of a growing body of evidence for class-conscious uses of the Greek and Roman sources. timeline of the Stock Market Crash; the Spartacus Network site on The New Deal, and The Great Depression and the New Deal, by Joyce Bryant, from the Yale-New Haven Teacher's Institute. Life of the People, a group exhibition held at the Library of Congress. Catalog available. Karl Marx, The Alienation of Labor -- part of the on-line course in world culture originally given at Washington State University. The MarX-Files for the complete text of Das Kapital. The MarX-Files constitute "an annotated web guide containing links to the major works of Karl Marx and Friedrich Engels as well as other Marxist resources." The Communist Manifesto, by Karl Marx and Friedrich Engels, recently published (2012), text in Spanish and illustrated by Spanish artist Fernando Vicente. For English text, see here. editors Zoltan Deak, James Gellert, Susan Joseph, Charles Keller. Hugo Gellert, People's Artist. Hugo Gellert Memorial Committee: New York, May 1986.